When Nick Hall wakes up in a dumpster–bloodied, without a memory, and hearing voices in his head–he knows things are bad. But they’re about to get far worse. Because he’s being hunted by a team of relentless assassins. Soon Hall discovers that advanced electronics have been implanted in his brain, and he now has two astonishing abilities. He can surf the web using thoughts alone. And he can read minds. But who inserted the implants? And why? And why is someone so desperate to kill him? As Hall races to find answers, he comes to learn that far more is at stake than just his life. Because his actions can either catapult civilization to new heights–or bring about its total collapse. 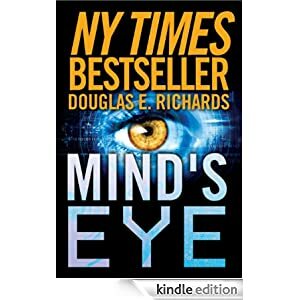 Buy this sci-fi thriller today for $1.99.